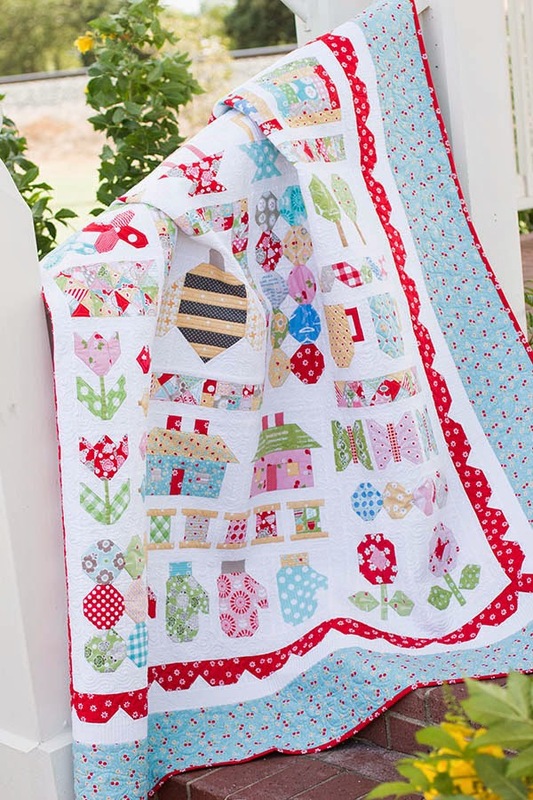 Fat Quarter Shop's Jolly Jabber: Who Wants to Make a Cake for Quilty Fun's 1st Birthday? Who Wants to Make a Cake for Quilty Fun's 1st Birthday? Hi everyone! 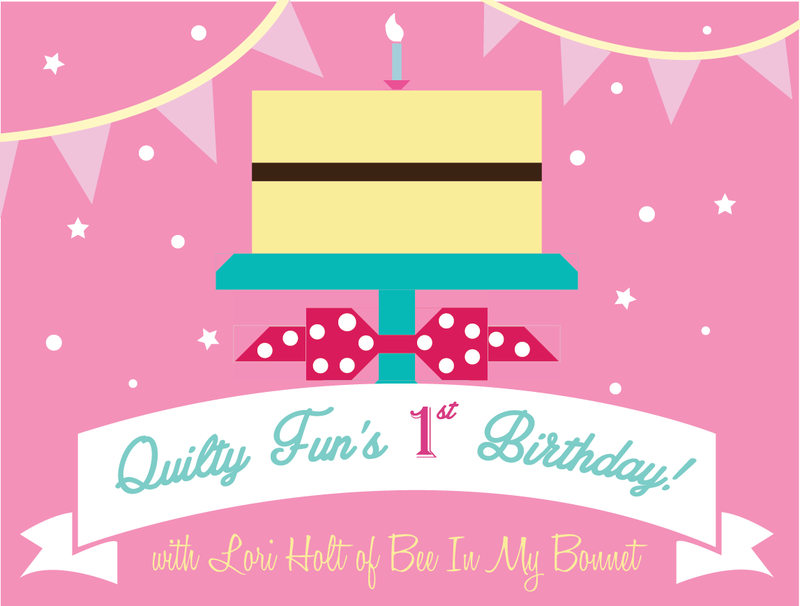 Put your party hats on and welcome to Quilty Fun's 1st birthday party, hosted by Lori of Bee in My Bonnet and Fat Quarter Shop! We can't believe that it's already been a year since we launched our first book with Lori. 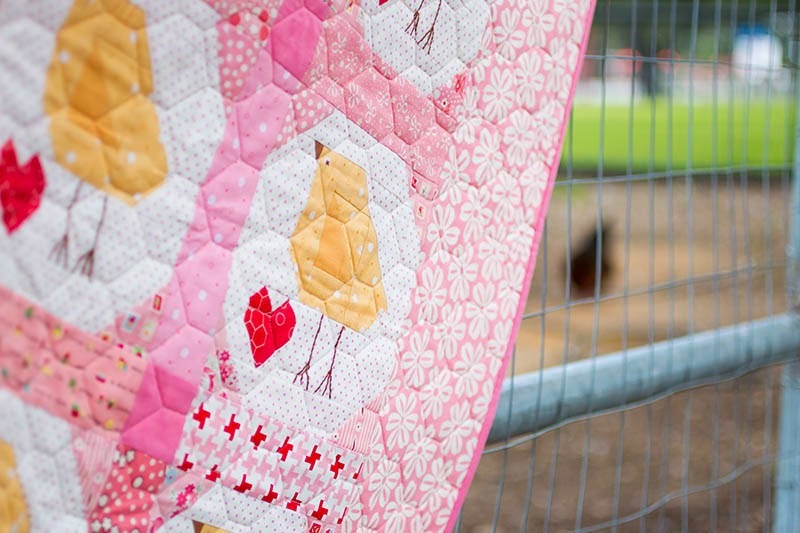 We've had so much fun with her over the past year with the Quilty Fun Sew-Along with creating her sampler quilt. Here is Kimberly's finished quilt, don't you love it? If you're new to the Quilty Fun family, check out our behind the scenes video where you can see some sneak peeks of the quilts in the book and get to know Lori's world. 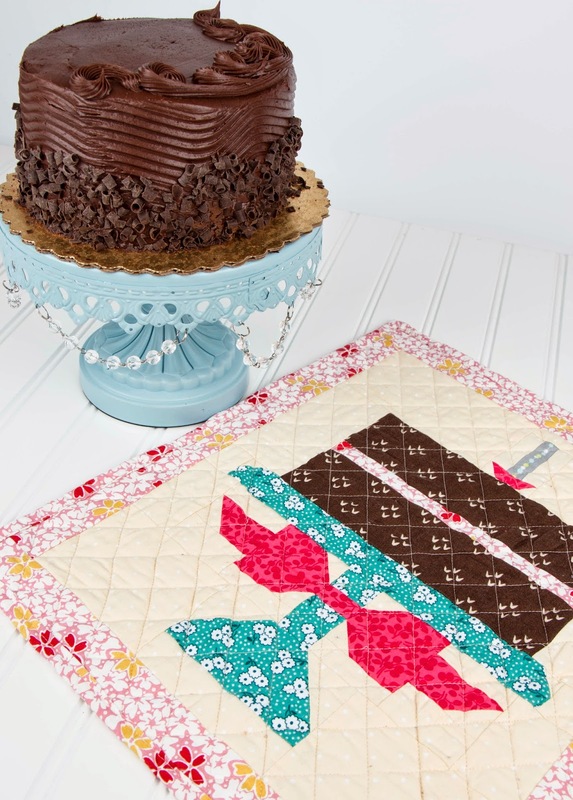 Lori is the queen of all things scrappy and novelty, so what better way to celebrate Quilty Fun's birthday than with a birthday cake block by Lori. This block is so cute and festive and super fun to make. Kimberly also created her own version of the birthday block. Chocolate cake anyone? 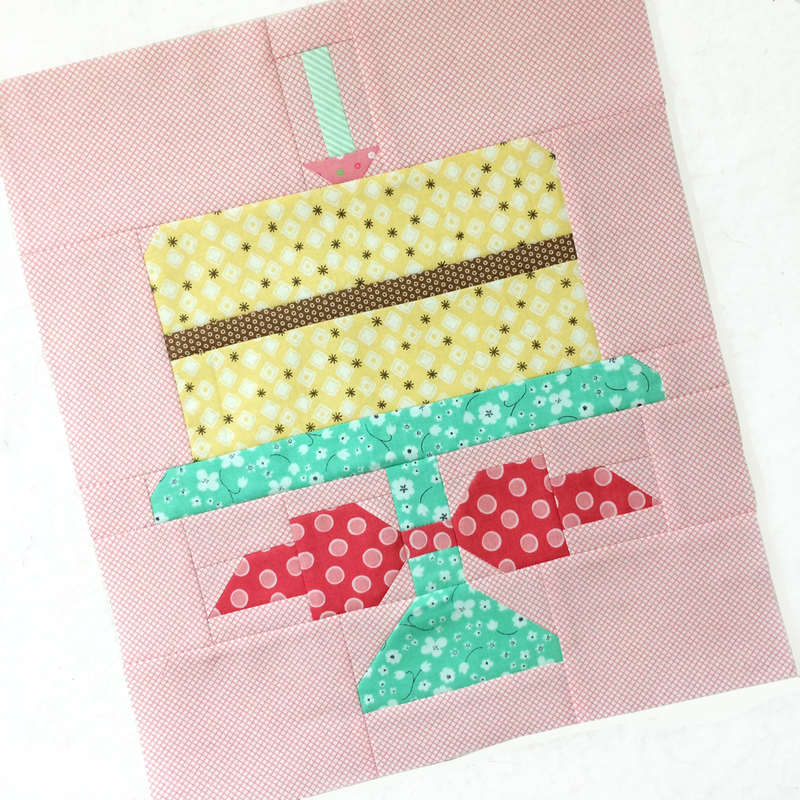 We've invited a few guest bloggers to join the party by recreating her birthday cake block. Check out their blogs to see their creations. 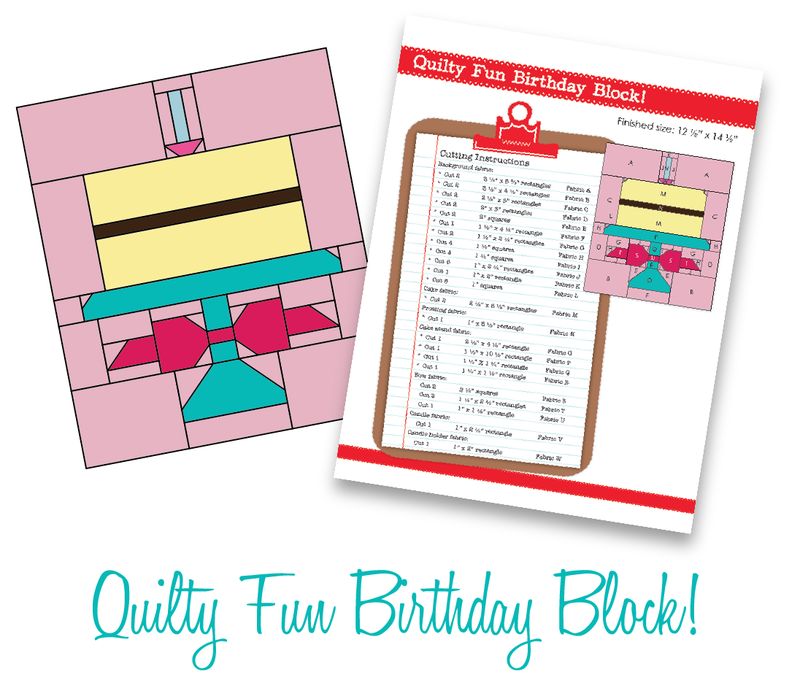 If you want to join the party, download the cutting instructions to start your birthday cake block! Thank you so much for joining us and Lori to celebrate the Quilty Fun Birthday! 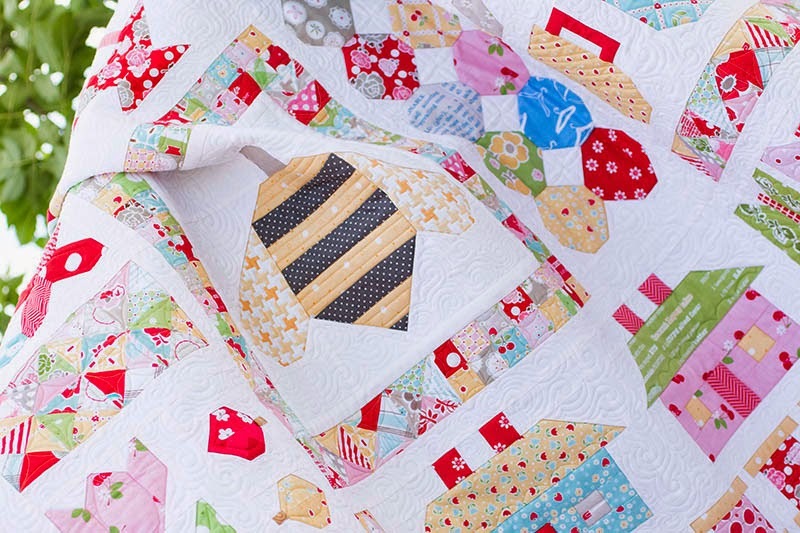 Let us know how much you love the Quilty Fun book in the comments! Have a terrific day!